How do I give fans different bundle options? How do I bundle a digital album with a physical product? Instead of creating an entirely new product for each combination of color and size, you can use something called Product Variants. This takes place inside your Shopify Admin. Select “Products” and choose the product you’d like to create some different options for. Scroll down and select “Add Variants”. Choose an option name (ie size) and some different options (small, medium or large). Can fans select which digital release to be included in a bundle? Yes. You do this the same way you create options for color or size. Create an option name that reads, “Digital Download”. Create options with the title of each track you’d like them to choose from. When you’re finished, you should see something similar to this example. Next head over to your Single dashboard for the product tagging. If you have not yet created your release, click on “Create Digital Release”. If you have questions about creating your release, How do I create a digital release?. You can only attach digital releases (not individual tracks) to physical products. 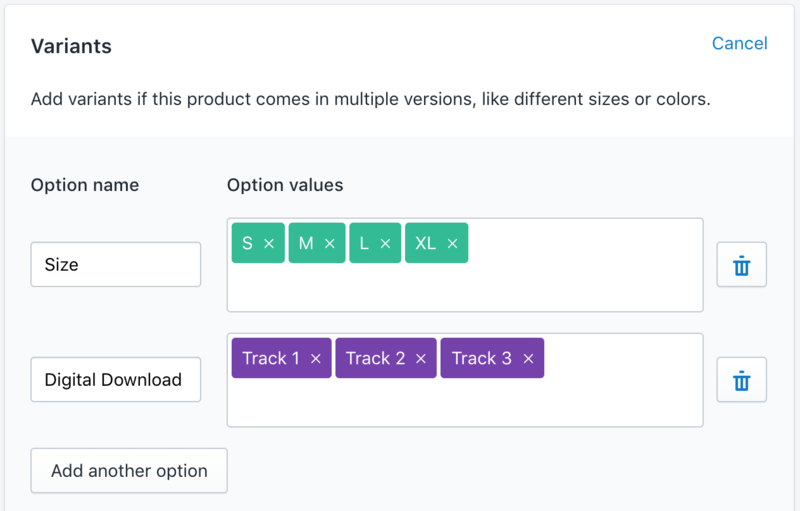 If you’d like to give fans the ability to choose which track is included in a bundle, you need to create a separate digital release for each single. Think of this like an EP for each track. You can enter the same UPC as for your digital album - just make sure the ISRC matches the ISRC for the same track on your album. For specific instructions on bundling digital with physical products, How do I bundle a digital album with a physical product?. If you’ve already created digital releases in Single, you can go ahead and start tagging. Click on “Manage Digital Releases” and select the release you’d like to add to the bundle. Then click “+ Attach to Existing Product”. Search for your physical product in the search bar. 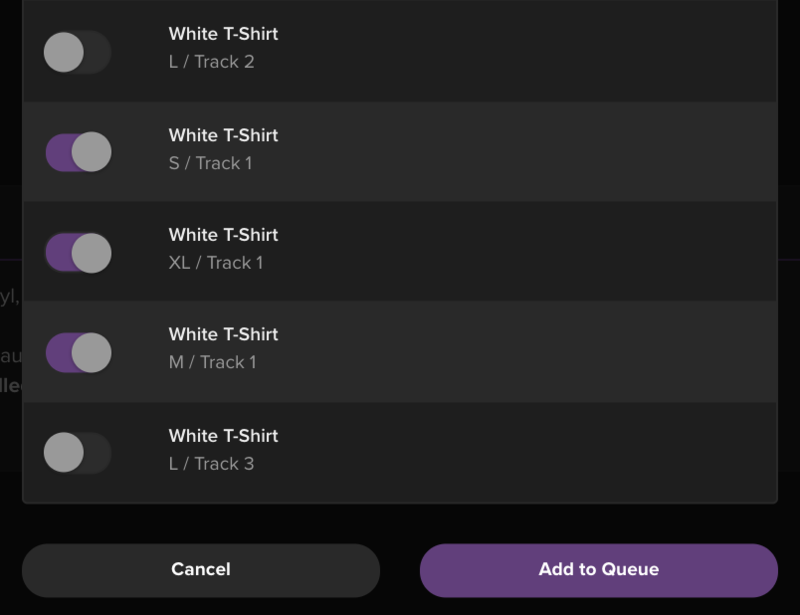 Choose each variant with the corresponding track and hit “Add to Queue”. Do this for each digital release until you have one selected for each option. Finally, hit “Create Attachments”. To verify that all of your options were created successfully, take a look at your product inside your store. You should see dropdowns created for each option that you’ve created. Try making a selection and add it to your cart.